Another fantastic vintage instrument that we are excited to offer you! 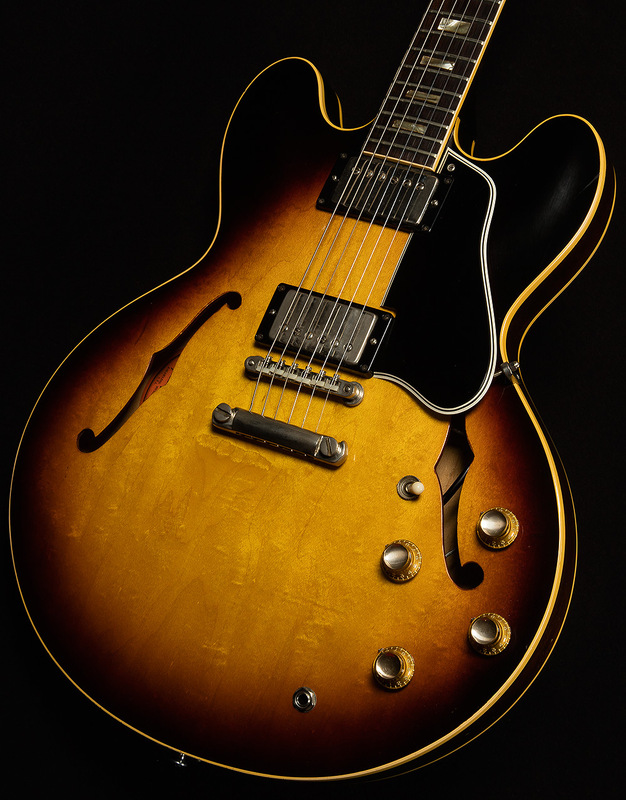 This fantastic vintage 1963 Gibson ES-335 is in excellent condition, especially for its age, making this a phenomenal example of a vintage 335. The frets are all original with moderate wear. 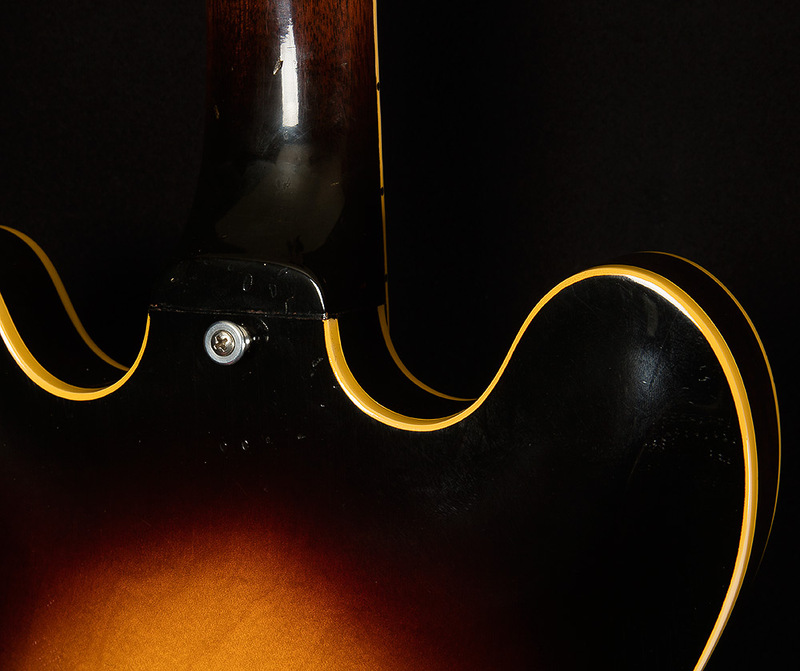 You'll find the typical vintage wear on this ES-335 - including checking, scratches and dings. 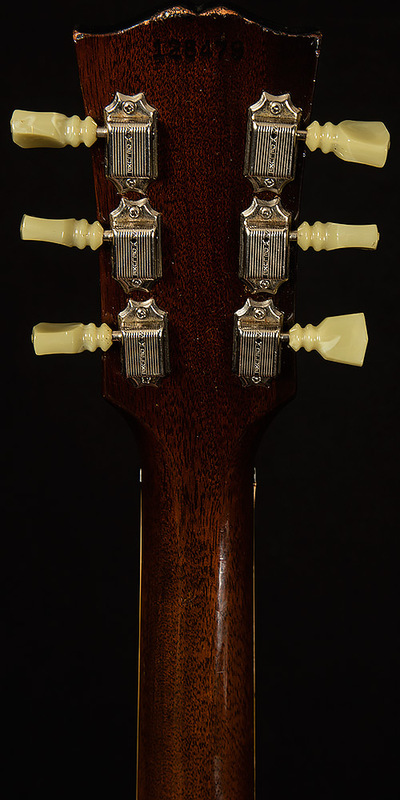 There are 4 screws still present from a trapeze tailpiece that was later switched over to a stoptail. 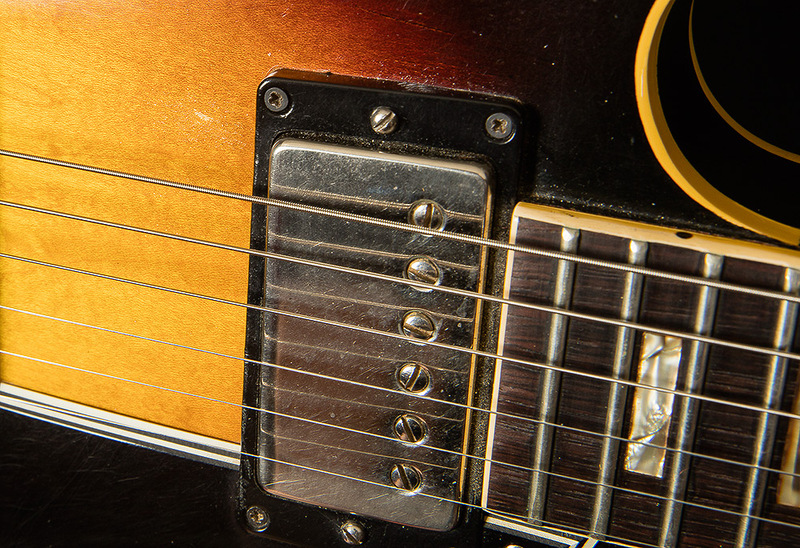 The treble-side tuners are slightly bent, though this does not affect function. 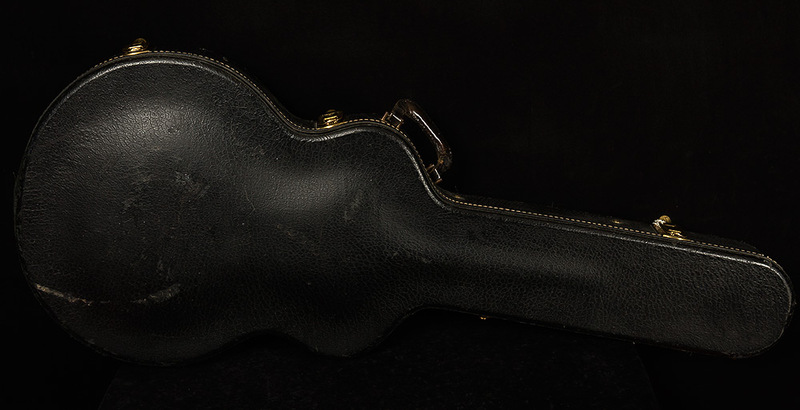 Includes a Gibson Black Pebble hardshell case. Give us a call for a in-hand description or tonal evaluation! WOW! 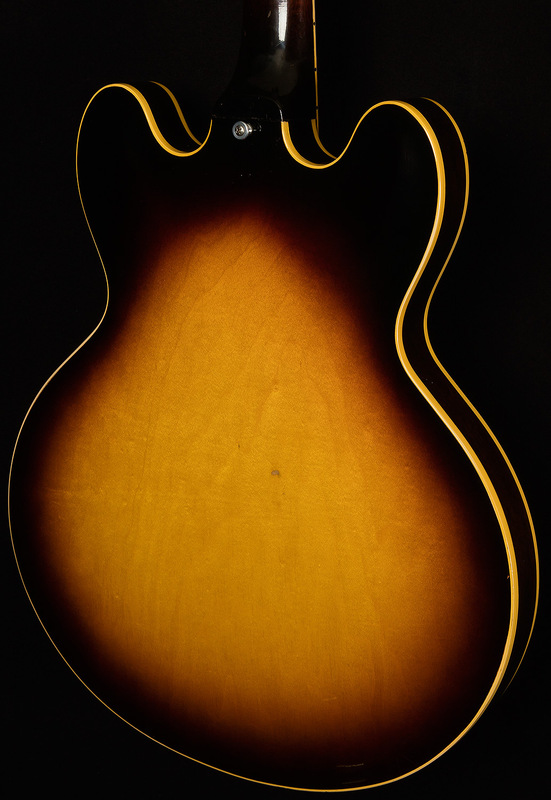 This ES-335 is exactly what we look for in a phenomenal vintage instrument! 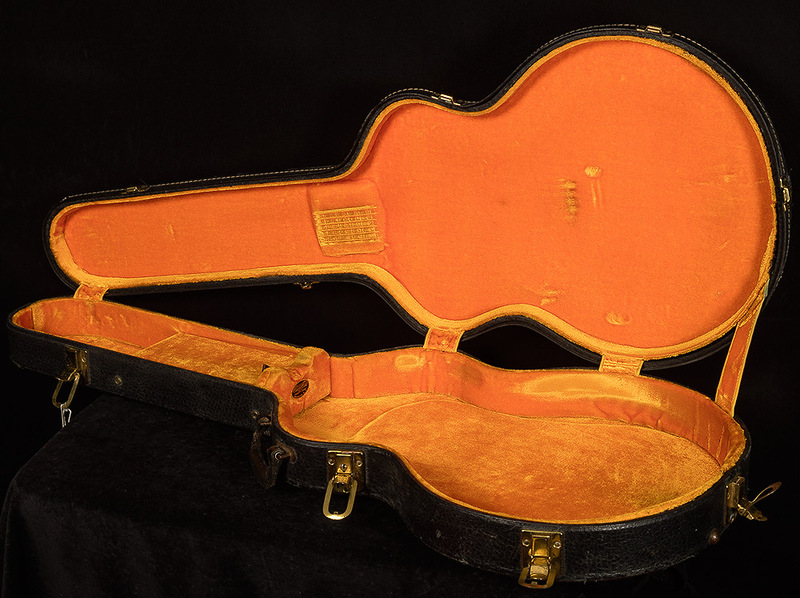 Rich in expressive, harmonic overtones, this instrument is beyond inspiring to play and reminds the Wildwood Team why these vintage Gibson instruments are so coveted. The high end in particular is extremely articulate without ever sounding abrasive or harsh, allowing single note runs to sing with jaw dropping, cascading harmonic content. Notes attack with an exceptional bloom and compression, resulting in a balanced ES-335 that feels spectacular to play, with tone to match! The Wildwood Staff is honored to present this stellar vintage example to our exceptional customers.